How often do we use our headphones and when was the last time we thought of cleaning them? If we realize that we can’t remember the last time they were given a good clean and yet we use them on a daily basis maybe it’s time we know a few of the reasons behind why we should be sanitizing our devices. There are several reasons why we should have our headphones clean, besides the most obvious being that their appearance can be somewhat gross. 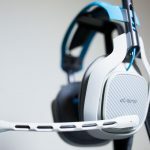 Apart from this we all like when our devices work at their most optimal performance and bad management of our headphones can cause poorer quality of audio feedback. The sounds can be in some cases slightly muffled or lacking in bass. As well as this although less common, if unclean there is the possibility of infecting your ears if shared amongst others, as they do spread germs. There are various techniques we can use for this process and none of them should scare you. Both in terms of their expense or their difficulty. 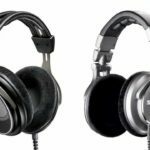 Depending on what kind of headphones you have the process may vary slightly, but in general the idea is quite consistent throughout. Just make sure that at the start, the headphones are not plugged into any other device as this could cause damage to them and/or the device. 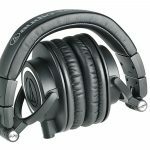 So let’s begin with your classic overhead set of headphones. 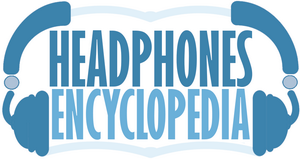 Headphones come in different shapes and sizes, some may have a band on top to cushion the pressure on your head. This band may also require cleaning as well and we’ll find out how shortly. Firstly if there are any fabric meshes or removable fabrics covering the earpiece and can be removed do so before beginning. Once we have collected all the necessary parts and before we have begin, we want to mix a few drops of the dishwashing liquid into the our bowl of warm water. We don’t need too much so we should avoid copious amounts of foam from showing up. Once this is done we get our cloth or piece of soft fabric nice and damp. Optionally we can pour this mix into a bottle with a spray attachment and use it to spray the contents over the cloth, whilst mindful not to overdo it. Once done we thoroughly rinse the cloth out so that it is just barely damp as we want to avoid getting any water inside the earpieces. There is a lot of circuitry and electronics that could be damaged if this were to happen. So by all means avoid placing the headphones directly into the water as this would not create the desired effect. Now we can take our removable meshes and fabric covers and clean them off first ( if our headphones have these removable parts, some don’t ). We want to wipe them down using the cloth as hard as we can without damaging the fabric, being careful not to tear it but enough to get the debris or earwax off. Start off gently and slowly proceed to applying more pressure, testing the durability of the material before going all out. The next part will take us back to the headphones. As mentioned the idea is quite consistent throughout. We want to take our dampened cloth and wipe away at the headphones. This does not require a lot of pressure at all and can be achieved with gentle strokes. Once satisfied we can move onto the soft brush to get between the harder to reach places. We then pass over the headphones once more with the cloth to make sure all the debris is gone. This process can be repeated as seen fit. Finally, we want to grab our paper towel or really any form of dry fabric that can soak up any remaining moisture and wipe over the previously cleaned surfaces. Making sure that everything is nice and dry. Once the removable meshes and fabrics have dried we can then place them back onto our headphones. (Optional) If we want to take an extra precautionary measure to ensure a complete wipe of any bacteria we can use the hydrogen peroxide or headset cleaner on a piece of cotton or soft fabric and give the whole thing one more run through, leaving it to dry after. Another optional choice is to clean the band for your head with the damp cloth, making sure to get all the grime off. Ear-buds follow the same requirement of contents for the cleaning process. The steps are very similar for those of cleaning the headphones. 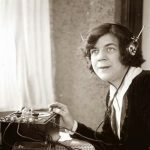 Only the ear pieces for these devices are smaller so a damp cloth could obstruct our field of vision and/or apply too much liquid, rather, we can use small cotton swabs. This step is the same as for the headphones except here instead of putting the mixture of water and dishwashing liquid onto a cloth we drip a bit onto a small cotton swab. Ear-buds have removable pieces ( plastic tips ) as well and if so should be removed before getting to the earpieces themselves. We don’t need to worry as much about applying pressure on them and thus can use a damp cloth and a bit of pressure to wipe away. When we get to the earpieces themselves, we want to gently dab or stroke at them being careful not to crush them in the process. Again we can use our brush to reach the harder spots and repeating dabbing and stoking with the cotton swab. Finally we dry the ear-buds with a paper towel or similar and place the plastic tips back on. (Optional) We apply a bit of hydrogen peroxide onto the cotton and pass over everything again making sure not to overdo it with the application of the fluid. 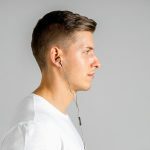 A final optional choice for both headphones and ear-buds is to run through the cord of the headphones with a damp cloth by holding the bottom of the cord, wrapping your cloth around it and moving down whilst holding the cloth firm between the cord. Once these steps are completed you should be standing next to a clean pair of headphones or ear-buds ready to play your favorite tunes!